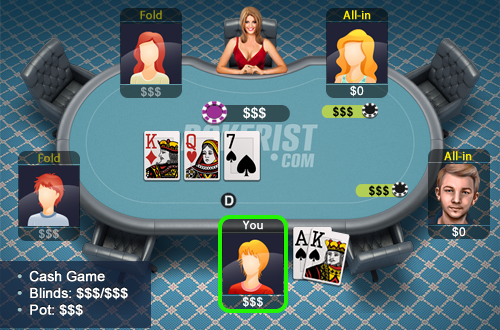 You’re playing a cash game, where UTG raises, the CO seat re-raises and you are holding A♠K♠. You call. Flop is K♦Q♥7♠. UTG goes all in, CO re-raises all in.